As Husam was forming his own structural engineering company, one of the first things he needed was marketing proposals. He reached out to me because of my experience working in marketing at architectural firms. I made a series of 3 proposals for him, all focusing on different areas of expertise. The booklets needed to stand out from other larger firms while appealing to the design eye of his potential clients: architects. Within the first week of using these proposals, HGSE booked meetings with two different architecture firms. The biggest challenge with this project was incredibly small image sizes. Due to a tight deadline, photos had to be pulled straight from websites and articles online. To deal with this problem, I arranged photos into tall but narrow columns. This allowed the photographs to have a large visual influence on the spreads while keeping the individual images small. 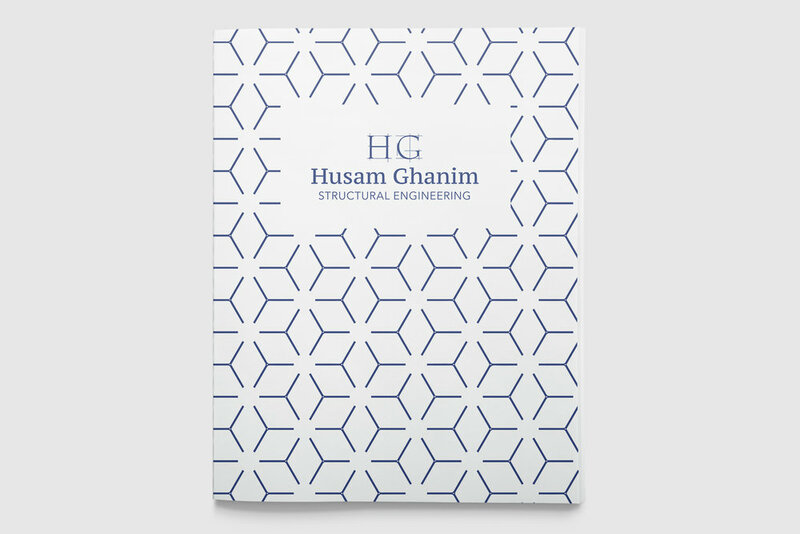 Incorporating large amounts of white space also helped with this, while also differentiating Husam's proposals from many competitors' that tend to feature huge photos and text-heavy layouts.